24 May Filed under Uncategorized. 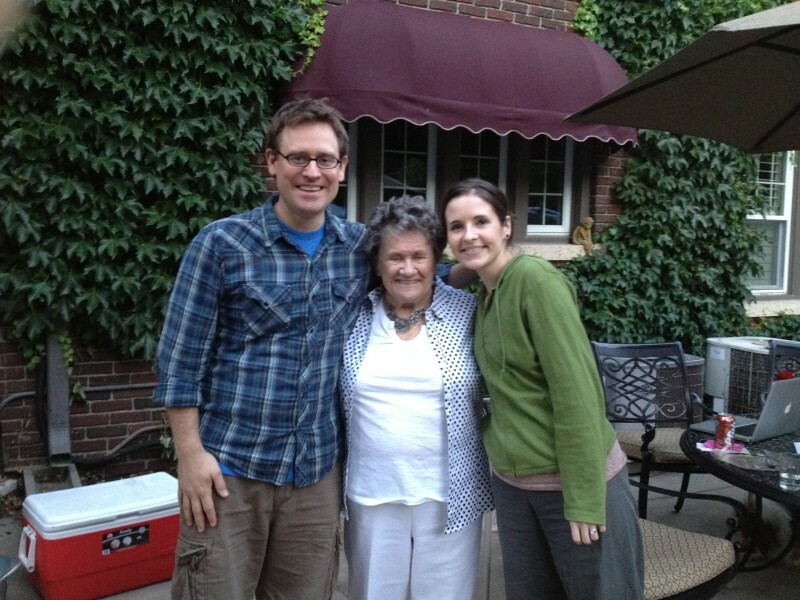 Tagged Buchan, David Demarco, Grandma, Legends, omaha. Bookmark the permalink. Post a comment. Leave a Trackback (URL). Nothing like a good night’s sleep. A real night’s sleep. With Chicago about 300 miles behind us, Megan and I look forward to a relaxing two days in Omaha. First thing’s first; Legends Comics and Coffee. My old pal David Demarco opened this shop this past October and let me tell you, it is probably the best comic shop I’ve ever been to. Unbelievable. With it’s adjoining coffee shop, it’s a nerds dream. Even the bathrooms have marble countertops. SHWAKY! He’s working on making the basement into a gaming room with couches and TVs for people to relax in. Megan and I do some browsing. Get some coffee. David and I catch up on some comics and life stuff. This was well worth the stop. If you’re ever in Omaha, stop by. You won’t regret it — nerd or not. Now, down to business. With all the Target gift cards we received for the wedding, we head there to pick up a GPS unit. God knows we’ll need it not only on this trip, but in LA as well. While we’re browsing, Megan begins to have a miniature breakdown. The lack of food we’ve eating today coupled with the stress of the move is getting to both of us. We skip the purchase and head straight to eat and Jason’s Deli. It’s a well deserved meal we both need. It refreshes us physically as well as mentally. This trip is going to be fun but trying at times and we need to accept that. My two favorite ladies: Grams Buchan and Megan. This is a well deserved rest for both of us. We spend the rest of the night chilling at home, watching TV.